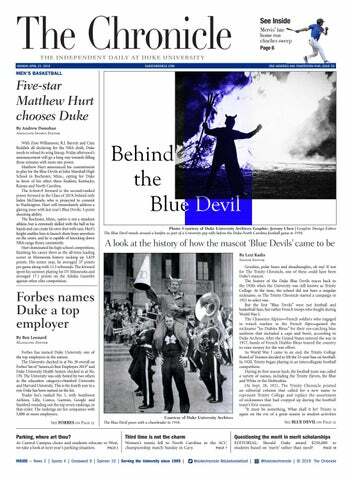 Duke baseball's end-of-the-year run nearly echoes that of the 2016 Blue Devils, who made it to the program's first NCAA Regional in over 50 years. Goldwire's perimeter defense was invaluable to the Blue Devils down the stretch. Alex O'Connell led the Blue Devils in 3-point percentage this season, primarily coming off the bench. Coach Krzyzewski's decision to burn Baker's redshirt Feb. 23 at Syracuse could prove to be a huge mistake. Recruiting roundup: Who will complete Duke men's basketball's 2019 class? Robinson only scored in three games, but put up 12 points in his memorable effort against Stetson. In a Tuesday night pickup game, Zion Williamson slammed home an utterly disrespectful alley-oop against other Duke students.